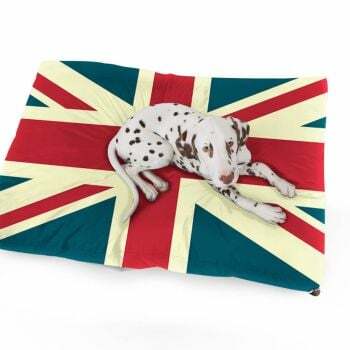 The Luxury Faux Suede 'It's a Dogs Life' Dog Bed is made from luxurious soft faux suede fabric that is strong, durable and machine washable; not forgetting the most important thing, your pets comfort. The Faux Suede Dog Bed is generously filled with memory foam crumb, which contours to your pets shape providing them with ultimate support and reduces the pressure on their joints meaning they can sleep in complete comfort. The base of the pet bed comes in a water resistant fabric meaning no moisture will absorb through the base of the bed. Disclaimer: Our Pet Beds are not indestructible, therefore if your dog is known for chewing, then we would not recommend our Pet beds. If you do go ahead and buy a Pet bed from us and your dog does damage it, then we cannot be held liable for any reimbursements, repairs or replacements. the dog beds are excellent and my elderly dogs have benefited from using them already after using them for less than a week.\nI would recommend them for anyone with an older dog. The dog beds are excellent, would reccomend to fellow dog owners.